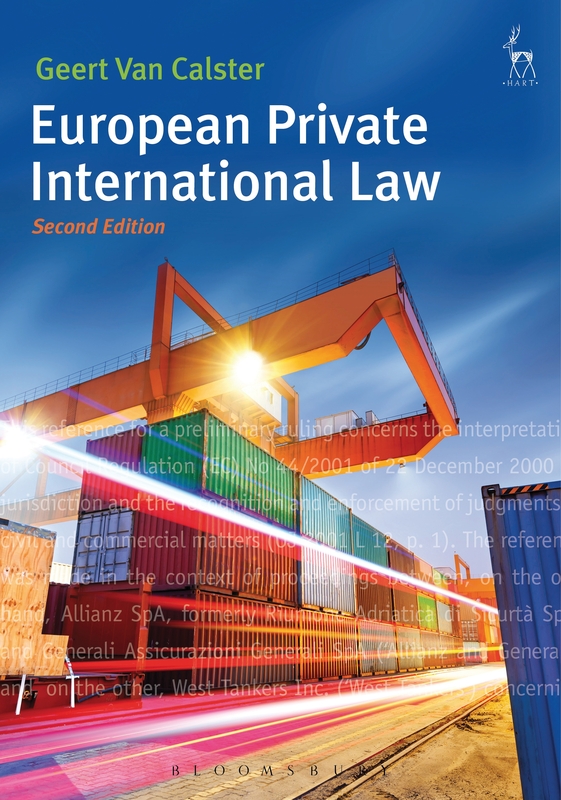 A fully updated, second edition of the textbook European Private International Law by Geert Van Calster (University of Leuven) has just been published (Hart Publishing, 2016). Usable bo th as a student textbook and as a general introduction for legal professionals, European Private International Law is designed to reflect the reality of legal practice throughout the EU. This second edition provides a thorough, up-to-date overview of core European private international law, in particular the Brussels I, Rome I and Rome II Regulations (jurisdiction, applicable law for contracts and tort), while additional chapters deal with private international law and insolvency, freedom of establishment, corporate social responsibility and finally a review of two Regulations in the family law arena: Brussels II bis (matrimonial matters and parental responsibility) and the EU Succession Regulation.